In an effort to promote competitive gaming, Virgin Gaming is launching a new Xbox Live app that offers large sums of cold, hard cash to online tournament winners. Many of you are now thinking that it obviously can be. Competitive gaming has grown by leaps and bounds in the recent past, and there's an increasingly large number of people who earn a solid living by shooting virtual people in the face. Virgin Gaming hopes to capitalize on this trend, but it wants to take things a step further and eschew mass tournament gatherings for something a bit more local. Later today, the company launches a new Xbox Live app (appropriately dubbed Xbox Tournaments) which will offer players the opportunity to join tournaments from the comfort of their own couch via Xbox Live. The impressive bit is that instead of simply pulling down bragging rights for winning these contests, players will be able to earn up to $100,000 for besting their online foes. Of course, that's just the big, bold headline Virgin wants everyone to focus on in regards to its new app. When you break it down a bit, it's obvious that the program is an advertising venture for the firm. While Virgin offers no solid figures for the entirety of its tournament schedule, it prominently announces that the aforementioned $100,000 purse will be first seen in a "tournament and leaderboard challenge" scheduled to run from April 9 to May 6. Virgin doesn't specify which game or games will be the focus of this tournament, however the Virgin Gaming app is said to function with EA's most recent sports titles as well as NBA2K13. Battlefield 3 is the sole first-person shooter currently supported by the app, and Assassin's Creed: Brotherhood also makes an appearance, due to its apparently strong tournament potential. If none of these titles are your cup of tea, know that more games and tournaments are slated to be unveiled soon. The biggest question this app raises is how Virgin intends to deal with the inevitable: Someone actually winning $100,000 from the app and demanding payment. VentureBeat quotes Virgin Gaming president Billy Levy who says the firm went through "a lot of trial and error to get to this point where we have a turnkey solution." 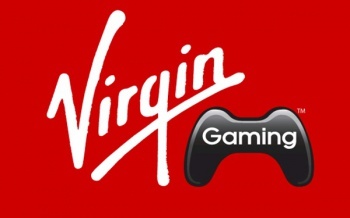 While vague, Virgin Gaming is a subsidiary of Richard Branson's vast Virgin media empire, and that level of corporate backing should ensure that the company won't run out of cash at a crucial moment, if nothing else. Virgin's efforts to promote competitive gaming are undoubtedly a positive, particularly as they ostensibly bring the big event tournament scene home to those who may not otherwise have any interest in flying across a continent to play videogames against random strangers. That said, the competitive gaming scene has been around long enough to establish its own unique identity and conceptual mores. Virgin could release the most innovative tournament app in history, but it would be widely ignored if the extant competitive gaming folk take issue with it en masse. Only time will tell how the Xbox Tournaments app fares beyond catching headlines with huge monetary figures. If your interest is piqued by all of this, you can find the Xbox Tournaments app on the Xbox Live Marketplace at some nebulous time later today. The download will be totally gratis. Keep in mind that to fully utilize the program you'll need to sign up for an account with Virgin Gaming, but otherwise this scheme is about as free as anything in the world of gaming gets these days. If any of you win big, remember me fondly.